Manchester United manager Jose Mourinho is reportedly asking for a hugely ambitious transfer swoop for Paris Saint-Germain forward Kylian Mbappe. This is according to Don Balon, who report United are prepared to give Mourinho around £221million for the deal, but any more than that may be unaffordable. Mbappe, 19, is regarded as one of the top attacking players in Europe right now after his outstanding breakthrough season for Monaco last year. The teenager’s transfer situation is a slightly complicated one as he technically remains a Monaco player and is at PSG only on loan for this season. However, BBC Sport report that PSG have the option of signing him permanently for around £165.7million next summer. It remains to be seen if United have any realistic hope of hijacking that deal by offering more money, but Don Balon claim Mourinho is eager to make a statement signing of this type. 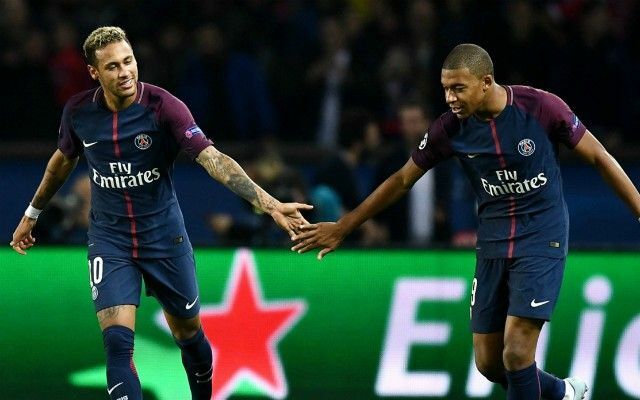 They claim the Portuguese would make Mbappe the undisputed star of his side, something PSG cannot truly offer him due to the presence of Neymar up front as well. The Brazilian also moved to the Parc des Princes this season, and the pair have both shone in the club’s three-man attack so far. Still, Mbappe could arguably play for a bigger name, even if PSG are one of the wealthiest and most ambitious teams in the world right now. They still lack the history of a club like United, Real Madrid, Barcelona and others, so Mourinho may sense that he could be able to give the Frenchman a more tempting offer at Old Trafford. A world class attacker clearly seems a priority after the Sun also linked him with talks over signing Antoine Griezmann and Gareth Bale this season.